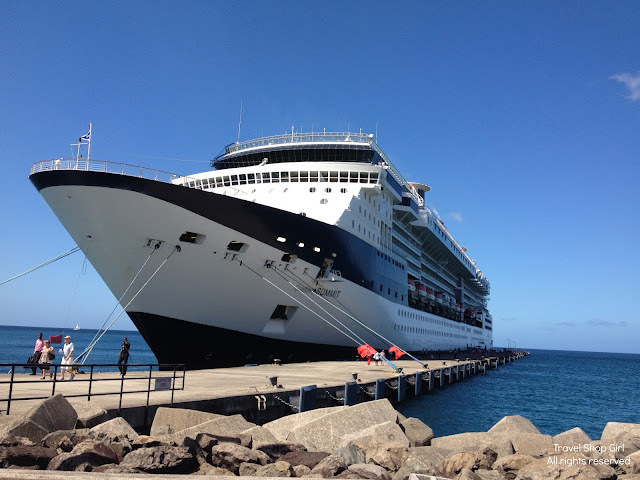 On November 30, 2012 while the Celebrity Summit was in port in St. Thomas, Celebrity Cruises was kind enough to allow me to interview a few members of the staff. Unfortunately, as sometimes happens, life gets in the way and I did not have a chance to post this interview until now. 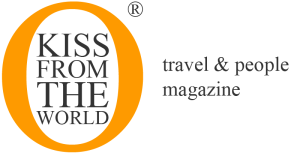 Hopefully, both Caissie and Celebrity Cruises will forgive me for my delay in posting my interview. For anyone who has taken a cruise, we all have our own idea of what a cruise director is. Maybe our frame of reference is Julie from the Love Boat or perhaps we have a favorite cruise director from a memorable cruise. The job of cruise director requires someone who is outgoing, personable, and who not only accommodates guests effortlessly, but can work well with staff members. 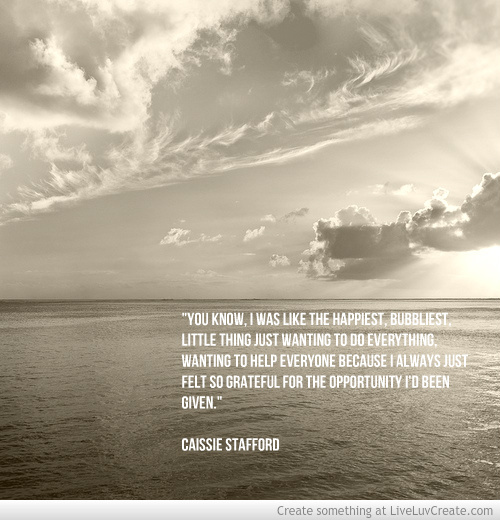 There are people in this world that you are instantly drawn to and Caissie Stafford is one of them. This beautiful blonde Australian with the most magnificent shoe collection has an amazingly strong and engaging presence, which instantly puts everyone at ease. 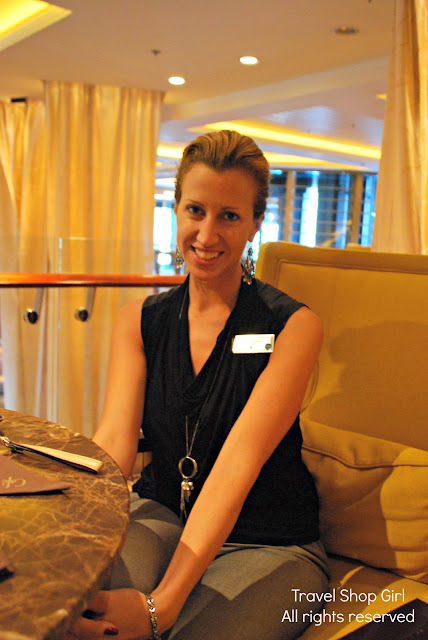 She is no ordinary cruise director and you’ll see why in my interview with her. I had the pleasure of sitting down with Caissie Stafford, the Cruise Director onboard the Celebrity Summit. Below is my interview with Caissie. 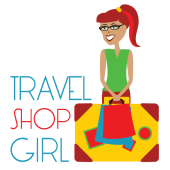 Travel Shop Girl: Alright, so I was looking at your little bio – I love that they do that by the way – and I read that you grew up on a farm in the outback. That is so intriguing because it seems as though in my head it sounds very rural and this [a cruise ship] is not rural. TSG: So my first question then is; how many people lived where you lived? CS: Oh, just a few hundred. We weren’t as remote as some areas of the outback are, but we’d have to drive over an hour to get the groceries and just the nearest shops in the town. Growing up I was very much a tomboy on the motor bikes and never wore high heel shoes or anything like this and just really into sports, and just loved the country lifestyle and riding the horses. So a complete contrast to what I’m doing now. TSG: How did you go from that to cruise ship? CS: Even though I was very much a tomboy, I’d always had a great love of performing and entertaining. After high school, I went and studied performing arts and musical theater and you know singing, dancing and acting. And so, that was my degree, my Bachelor of Arts in Music Theater all the way over the other side, I was still living in Perth. My first job out of college was on a cruise ship in the production cast as a singer/dancer. I’d never thought of doing anything like that, but just the entertainment industry – well anywhere around the world, but especially Australia; it’s very tough to get consistent work. So it was like I really just wanted to get a lot of audition experience, so I went along to this audition for the cruise ship, not thinking in a million years I’d get it or that I would want to even do it. But I ended up getting it and I thought, “Oh, what an interesting opportunity” and I absolutely loved it. I did two contracts as a singer/dancer and then just due to a very minor, little car accident that I was involved in that no one was hurt in a major way, but it ended up throwing my whole back out. So for the next three years, I had to just stop performing, stop any sort of real work and work on my physical therapy. At the end of those three years I was “Well, what am I going to do now?” I’ve had such a long break from performing; didn’t think that sort of opportunity would be around again. I just happened to see an ad in the local paper for Celebrity, looking for the activity staff hosting the trivia and dance classes. I thought I’ve had such a crazy last three years, I just want to do something fun and so I applied for that thinking I’ll just do one contract, save a bit of money and then go back to Australia and get a real job. Here I am four years later and Celebrity have been wonderful with just really supporting me and pushing me and putting me with wonderful mentors that have just helped get me back up to a level of performing again; And you know, really even though I’m not an entertainer so much anymore, it’s about presenting the other stuff, It’s still a little bit of putting on a show. A lot of my training of being an entertainer is still really applicable with what I do know. TSG: It definitely shows and just even from the way that you carry yourself, I sensed that was in your background, so that was apparent. But I’m interested in what you said, the mentor part of it. It seems as though that if you express an interest or if you’re passionate, Celebrity will certainly guide you in the direction of staying with the company and advancing your career. Is that true? CS: For sure! At the time when I first started I didn’t even really have a great ambition to become a cruise director, but people saw something in me. Because I was so excited to be here and have a job after such a crazy last three years with my back injury. You know, I was like the happiest, bubbliest little thing just wanting to do everything, wanting to help everyone; because I always just felt so grateful for the opportunity I’d been given. That really stood out a little bit. People were like, “Well you know, you could go further with this” and I’d just get little opportunities here and there to host things and they sort of throw me into doing lots of different things at the last minute, which just really helped develop my skills further. A lot of my opportunity was just being at the right place at the right time. An activity manager had to leave and so it was like, well let’s just give Caissie a go and see how she does and so then I became the activity manager for about a year or so. Then last year, again the cruise – I was activity manager and the cruise director that was meant to come out got sent to another ship and so it was like, well who’s going to be the cruise director? Let’s give Caissie a go, see what happens. TSG: So right on the spot they just moved you up? CS: Well I had a few weeks’ notice to prepare. CS: Very nervous. You know, remember a lot of the stuff that comes more naturally now in terms of when I go out on stage and talk, a lot of that stuff comes really quickly now. Whereas I remember those first few weeks I’d be in my room like, practicing writing it out so I knew it and then saying it over and over so I’d get it right. But I just – just loved it so much and just always had such wonderful support from the Celebrity family, it does really seem like a family if you know. TSG: It definitely seems that way to the guests on board on the outside looking in, so if you’re saying that, it does say a lot. What ships were you on besides Summit? CS: I’ve been on all the Millennium class ones; I started on the Infinity and then after that I was very briefly on the Equinox just for four months, but then I’ve been on all the Millennium class. The Constellation, then I was here, then two contracts on the Millennium and back here. TSG: The contracts for you are different than the contracts for the regular standard employees? CS: There’s many different lengths. We have some crew members on eight months, some crew members on six months, which was what I started at as the activity staff and then now most of the senior management do four months. TSG: So you’re four months on and –. CS: Two months, but that’s all approximate you know. It also depends on needs as well. I’m meant to get a two month vacation, but just because of a needs basis, my last two vacations have been, five weeks and the one before that four weeks. It was by choice. They said, “Look, we really need you. Can you do it?” So it’s not like I’m forced to come back early. But then, I’m very excited about my next vacation which will be 10 weeks, so I’ll get a great little break. TSG: How do you come back from that? It’s apparent you love your job, but when you’re gone that period of time, how do you motivate yourself to come back? CS: People describe it as that expression, you hit the ground running. When you step on the ship, you hit the ground sprinting. It’s like stepping onto a treadmill that’s going flat out. It is such a contrast from having that two months of doing absolutely nothing pretty much, and I try to make sure that I really do completely get some R&R and just lots of sleep and looking after my health and exercise and diet really well. Just to make sure when I get back on here, I’m ready to go. TSG: So nobody asks you to host anything when you’re back on? CS: No – my goodness me that would be interesting. TSG: Did you ever imagine when you started though, that you would ultimately become a cruise director? CS: No, not at all. When I started four years ago, the cruise director position has changed a lot. When I saw that the cruise director was an extremely lovely gentleman, an olderly gentleman who was probably in his mid-60s and he’d just come out and tell the corny joke. And so, it wasn’t anything that I was like, “Ah, I want to do that.” You know? So I thought, “Okay, this is what a cruise director is.” I couldn’t really make the connection that that’s something that I could do. TSG: Although there’s still many that still do that –. CS: Still do that, for sure. CS: It’d be interesting because then the next cruise director would take over and have the same jokes. And I’m like, “Hang on, what’s going on here?” So I think a part of my – it’s very much an Australian style just to be very natural and laid back and not too over the top and I think that’s what the guests enjoy. Also, one of the frustrating things with that is when I’m going through stressful times on the ship and have to deal with things that aren’t really going into place, I have such a hard time hiding because that is my natural quality, just to be myself, I have such a hard time putting on a show and faking if there’s frustration. TSG: So you don’t have a poker face for that? CS: No, I’m the worst at that. I sometimes get comments that guests have noticed when I’ve been frustrated because I don’t realize – you know, I’m not trying to pretend to be happy. TSG: Because you have to be on, all the time. I don’t even understand how you can do that because although the guests change and I can see how that would change your job on a daily basis or a weekly basis, in some sense you’re doing the same job every cruise. How do you change it up to make it interesting for you? So that you don’t feel like you’re going crazy? CS: Oh, that’s a great question. I think the biggest thing that helps me is that I do absolutely love it. I don’t know how you could be a cruise director if you didn’t enjoy it because, as you say, it is you’re on every day. So if you have to step out of your cabin and like motivate yourself like, “Here we go again.” I think it would be so exhausting. But I really love these seven day runs because, as you said, it’s new people every week and so that refreshes you and you get to have those new experiences with people. And we try and mix up the activities that we do on board as well. But you know, four months for me is a good amount of time. I think your brain starts to go a bit to mush towards the end of that time. 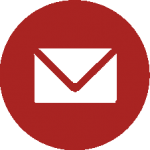 TSG: Are you dreaming about it at night, about your job? TSG: So what is a typical day for you? Because I think maybe the average guest would say, “Oh, she’s just doing the shows at night,” or “She’s introducing –” But that’s not your day at all. TSG: Because I know you had a meeting this morning. CS: Pretty much every morning, we have the hotel director’s meeting at 9:00 AM. Depending on how late of a night I’ve had the night before, I’ll try and get up before that to just maybe be out on the gangway just to say have a great day to people if I can. I was out there this morning and then after the hotel director’s meeting, I’m with the desktop publisher to finalize the daily program for the next day. TSG: So that’s you that decide what goes in there? CS: Well, for me in terms of the entertainment, the music sets and the onboard Marketing Manager, she puts out the revenue activities. It’s pretty much a collaboration between myself O&M and the Hotel Director has the final approval over all that. Then I’ll try and check on any activities that are happening. I mean, for example today, as you can see, it’s very quiet onboard, so it’s a great opportunity to catch up on some office work and preparation for tomorrow for the next cruise. I’ll try and get out for a little bit today just to do some shopping at the Kmart and get some hair product and makeup, and get some free little cheap Wi-Fi to catch up with family and then back onboard. TSG: What are some of the requirements that if somebody were thinking about your job, not on the ship, but just cruise director job? What would be some things that they would have to have in order to approach a cruise line and say, “I want that cruise director job”? CS: I feel it’s – you know those TV shows you see, like the X Factor, it’s not necessarily a job you can just learn how to do. You’ve got that quality that’s within you that the guests are going to connect with. They’re going to feel like they want to speak with you and they want to ask you questions. So we have a lot of very strong activity managers in our fleet who know the job 100% and if I happen to have a bad migraine one night and I couldn’t do the shows, they’d be able to cover me. But it’s that next step up – and I know Celebrity really wants to pride themselves in having those cruise directors that are just that, stars. TSG: Right. But not every activity manager, I’m guessing, wants to be a cruise director. TSG: Maybe I’m wrong. Not enough ships? CS: Well, there’s not enough ships. But majority of them would love it, that I’ve worked with. I mean, Manuel, who’s my activity manager here, I think he would be a phenomenal cruise director. He’s got a wonderful personality and he’s just really passionate about the job and he’s so switched on. Because you wear so many different hats as the cruise director, the most frustrating part of the job is sometimes the managing side of things when your staff aren’t doing what they’re supposed to. You’ve got to deal with all those frustrating things, and then, here’s the show. TSG: How many employees exactly report to you then? TSG: That’s all of the activity staff? CS: Activity staff, the youth staff, all the musicians – Yes, that’s a big group as well. Like with all of the different bands and the orchestra and the acapella guys, the singers and dancers, the production team with the AV guys, the broadcast team and the ITV team. TSG: Even though the dancers and singers are hired from an outside company, correct? They – while they’re on the ship, they report to you? TSG: And they report to you? CS: Yeah. I’m sort of the top of the tree. TSG: Okay. And what is the most asked question you get from passengers? CS: How do you walk in those shoes? Imagine my surprise when I saw her on one of my favorite shows, Top Chef on Bravo. There she was on the Celebrity Millennium sitting with Padma Laksmi, Curtis Stone, Tom Colicchio among others. 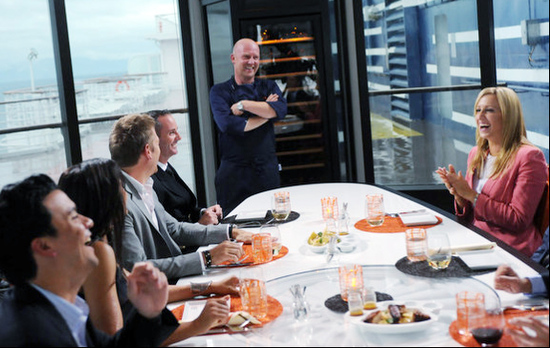 They were in one of my favorite Celebrity Cruises restaurants, Qsine and in this picture you can see one of the final contestants, Stefan Richter, was serving up great food and laughs to everyone at the table. Caissie was a perfect fit and she lit up the TV screen with her effervescent personality. I am happy to report that Caissie got married! 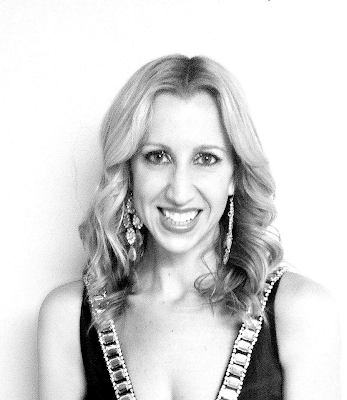 You can follow Caissie on her FaceBook page or on Google+. From what I was able to ascertain online, the current Cruise Director on Celebrity Summit is Alexander Yepremian. Since contracts end and people move from ship to ship, this was certainly to be expected. 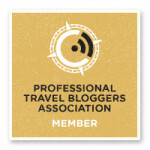 Unfortunately, I have since learned that Caissie is no longer with Celebrity Cruises. We wish her the best of luck in all of her endeavors and hopefully, Celebrity Cruise Line may be a part of her future plans. Travel and Dieting | Is It Possible? Oh what a shame Caissie is no longer with CC! I absolutely loved your interview with her and she is such a personality! Well done. Thanks Charu! Yes, she was very well liked by all.